From the first cave paintings to Britta Jaschinski’s provocative animal photography, it seems we have been describing and portraying animals, in some form or another, for as long as we have been human. This book provides a broad historical overview of our representations of animals, from prehistory to postmodernity, and how those representations have altered with changing social conditions. Taking in a wide range of visual and textual materials, Linda Kalof unearths many surprising and revealing examples of our depictions of animals. She also examines animals in a broad sweep of literature, narrative and criticism: from Pliny the Elder’s Natural History to Donna Haraway’s writings on animal–human–machine interaction; and from accounts of the Black Plague and histories of the domestic animal and zoos, to the ways that animal stereotypes have been applied to people to highlight hierarchies of gender, race and class. Well-researched and scholarly, yet very accessible, this book is a significant contribution to the human–animal story. Featuring more than 60 images, Looking at Animals in Human History brings together a wealth of information that will appeal to the wide audience interested in animals, as well as to specialists in many disciplines. Linda Kalof is professor of sociology at Michigan State University. Her books include The Earthscan Reader in Environmental Values and The Animals Reader: The Essential Classic and Contemporary Writings. "Linda Kalof’s account allows neither denial nor escape, while nourishing the commitment to somehow recraft actual inter-species relationships into more livable patterns." 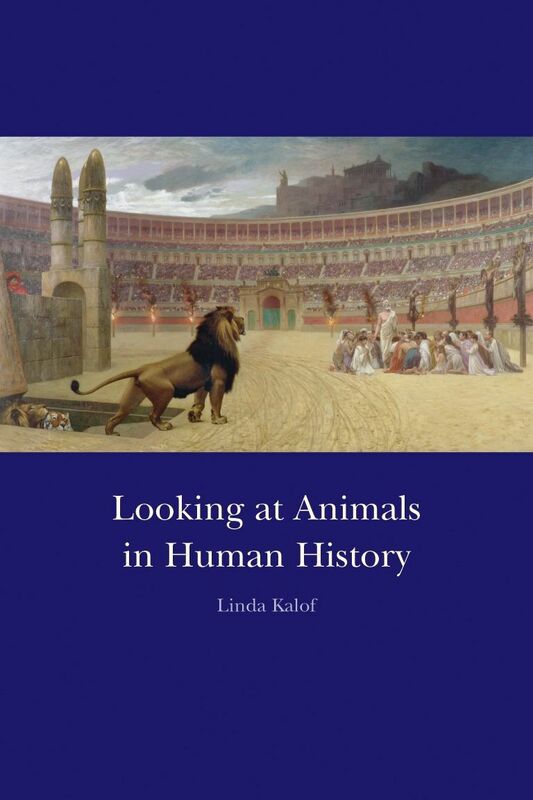 "Linda Kalof’s Looking at Animals in Human History is a vivid and encyclopedic survey of encounters between human and nonhuman animals across Western culture. Clear, readable, beautifully illustrated and always informative, this book presents (just as the title promises) a detailed account of how people have looked at animals, with insights into how animals figure in art, in battle, in entertainment, in law, in public health, in agriculture, in rituals, and much much more. This is a valuable contribution to the growing field of human-animal studies." well. But for that we need a context. Looking at Animals in Human History . . . is a fine place to start."